The inaccessibility and unaffordability of higher education is a growing issue in the U.S. The cost of tuition, room and board, and textbooks are a tremendous source of financial stress for students. Studies have shown that they are routinely sacrificing basic needs, such as food and trips home to visit family, just to afford course materials. This burden has not only been felt by students, but also by instructors and content providers. As the cost of materials increased, some students stopped buying them altogether and their learning suffered. 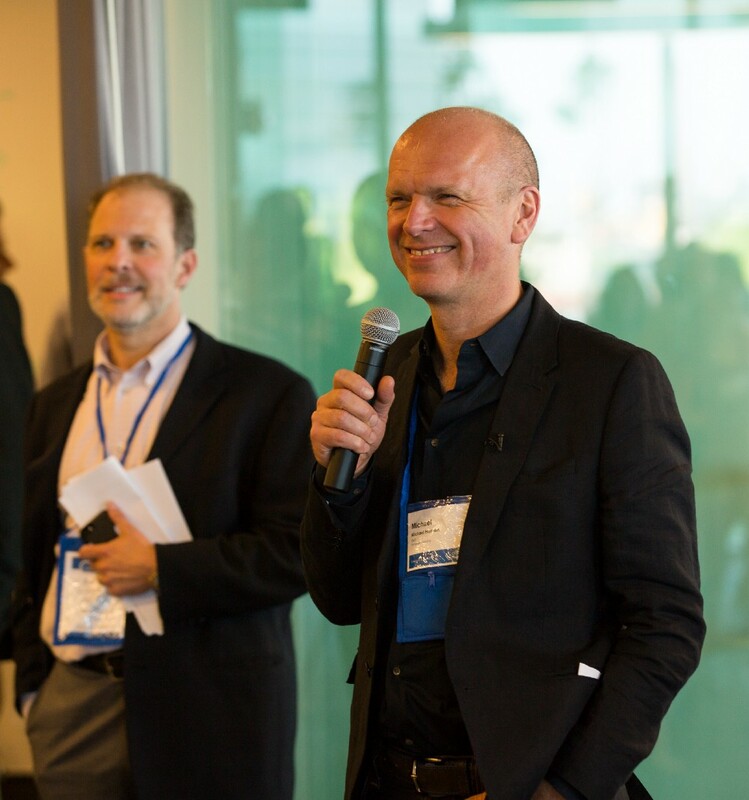 Michael Hansen, the CEO of Cengage, the largest U.S.-based textbook publisher serving the higher education market, is taking on the antiquated, expensive textbook business. He joined the company in 2012 as it was on the brink of bankruptcy and has transformed the business over the past several years. Michael, recently voted as one of the Top 20 CEO’s in Glassdoor’s annual ranking, is pioneering a new business model that takes a Netflix-style approach to textbooks. It offers students one-stop access to all of their course materials through their new subscription service Cengage Unlimited, which has quickly been met with success by students and faculty alike. Michael Hansen: My career path is certainly not a result of long-term planning on my part. I grew up in a comfortable, relatively modest middle-class family in Germany and developed early on a sense of “if I do well in school, I will have options.” I was actually not keen on making decisions at the time. I didn’t want to lock myself into something. Doing well was the road to options, allowing me to see what was out there. I decided to get a law degree, and then ultimately decided to go to Columbia Business School, which brought me to New York City. I took a consulting job after graduation, and it was there that I realized how passionate I was about helping organizations transform. I appreciated the strategic and analytical elements, of course, yet I also was struck by the profound human element to this work. From the human perspective, it’s about addressing challenges and making tough decisions in a way that is both compassionate and thoughtful, but also gets results. From a business perspective, it is about building a bridge between smart analytical insights and intuition, which both contribute to better decisions. Crowley: Can you share your story of when you/the company were on the brink of failure? First, take us back to what it was like during the darkest days. Hansen: In 2012, I got a call from a board member that Cengage was looking for a new CEO. They knew that they needed to do something different, but the extent of the company’s troubles wasn’t immediately clear. I signed my offer letter on July 4, 2012, which was the beginning of the back-to-school sales season. Every two weeks throughout July and August, I’d get a call from either the current CEO or the chairman of the board explaining results, which were bad and getting worse. Ironically with every week of bad results my resolve strengthened to take on the challenge. I started the job and very quickly discovered the company’s debt was crushing. The business model was fundamentally flawed, and the organization’s culture was coming apart. We needed to file for Chapter 11 bankruptcy as a first step to recovery. Hansen: To start, I needed some people who were willing to follow me into a very risky situation because, frankly, I couldn’t tell them with any confidence that they would get paid. I was fortunate to have a group of people who were willing to do that based on prior experiences and trust that had developed between us. Next, I tried to figure out all the uniquely positive things about Cengage. So I talked to people in the sales force and in the warehouse — the front line colleagues who are closest to the customer. I got a lot of my information, wisdom and insights about the business from them. 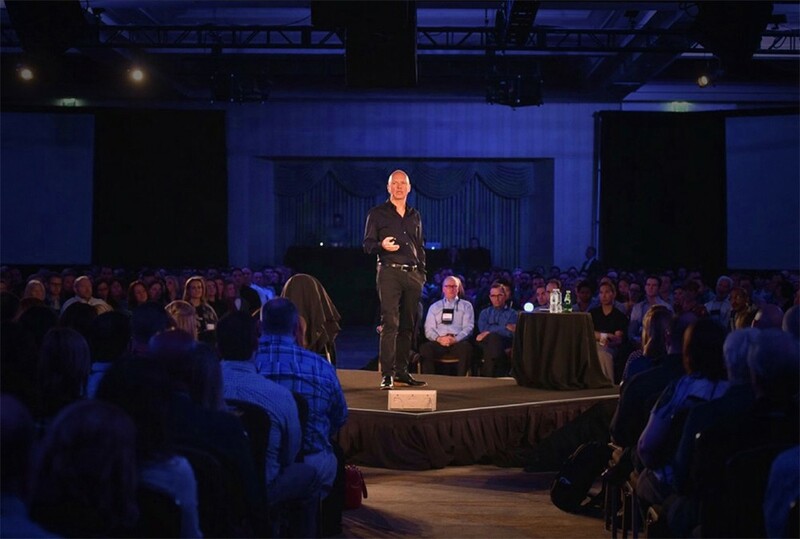 It was really energizing for me — particularly in the dark days — to connect a company to the actual individuals who were putting their hearts and souls into their work and wanted to do right by the customer. It was a stark reminder that this was not just an exercise in financials; it was also about people and relationships. I soon felt an obligation to these coworkers and also a sense of excitement about wanting to show them positive change. I was very transparent with everyone — both my management team and people across the organization — throughout the dark times, which I believe helped everyone gain trust and confidence. Crowley: Tell us how you and your team were able to overcome such adversity and achieve massive success? What did the next chapter look like? Our students were our clear north star throughout that next chapter. Take care of yourself: Take care of your mental and physical health. Make the time no matter how dire the situation is, no matter how long you must work, make the time. Prioritize the time for your own health, as well as your relationships with your family. I’ve done that. Establish a clear go north: Decide where you want to go — for us, that was our focus on the student. Invest in your team: Nobody could have taken a company of this size through such a challenging time by her or himself. You need to build a team. You need to give people a reason to trust you. That means living up to your promises, being transparent, being thoughtful and helping each other out. You have to live that every day. Hansen: I had mentors along the way. The former CEO of Estee Lauder comes to mind — he was a client who became a very close friend. He was a good sounding board. My most thoughtful, critical and immensely supportive mentor is my wife. She has the advantage and disadvantage of knowing all aspects of my personality. She will call me out on things. Hansen: We are really excited about and continue to grow Cengage Unlimited, which is the industry’s first all-access digital subscription service for textbooks and course materials. Students pay $119 a semester for unlimited access to our course materials, no matter how many they use. I believe that students deserve a learning experience where the material they use for their course is as seamless and natural as switching on an iPhone. Currently, students have a hodgepodge of different experiences depending on the courses they take, their teacher or the platform used in the course. They face a series of questions ahead of buying their course materials: Where am I going to get them? What are the access codes? How much is this going to cost? Can I find it somewhere else? Our goal with Cengage Unlimited is to give students a user experience that is truly supportive and, frankly, easy, so they can focus on their learning and interactions with their instructors and other students. Hansen: Due to a variety of trends in technology, and the polarization of the political discussion, there is an insufficient amount of thoughtful debate of ideas that’s needed to make progress. There is a lot of noise. There is lot of information. There are a lot of extreme views being pushed. We have veered down a path of too much inflammatory rhetoric. So, if I could inspire a movement with a magic wand, I would like to get us back to substantive discussion. To tie it back to Cengage and our work, I believe we have the ability to help people develop critical thinking skills. We need thoughtful approaches to problem solving. I’m an eternal optimist, and I think we will get there. Hansen: Trust and transparency are essential. In other words, I am a really big fan of telling people the way it is. You might not always be right, but just share your thinking behind something. Don’t over think things, and always trust your instincts. Hansen: Readers can follow me on LinkedIn.